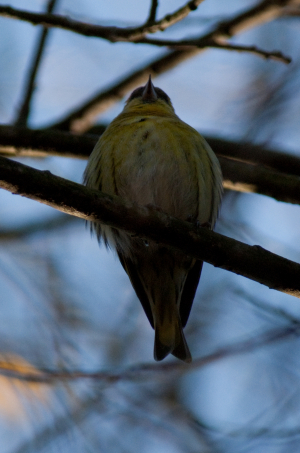 Observation - Siskin - at last! - UK and Ireland. Description: Despite various large flocks being reported in the area this species had eluded me until today. Not easy to photograph high up in the Alders but got a few reasonable shots. Despite various large flocks being reported in the area this species had eluded me until today. Not easy to photograph high up in the Alders but got a few reasonable shots.